Commonly asked questions related to solar power. Photovoltaic (PV) systems work by converting light emitted from the sun into electrical current. It’s the same technology found on pocket calculators, just on a larger scale. Modern systems do this by using crystalline silicon (c-Si) solar cells made of multicrystalline, and monocrystalline silicon. These cells are housed in panels that output direct current (DC) electricity, which is converted into alternating current (AC) electricity by an inverter. The current is then sent to your existing electrical panel where it is distributed throughout the home. Northern Virginia has a great climate for solar power, receiving nearly the same amount of sunlight per year as places like Jacksonville or Atlanta (who are known for their torrid climate). Other important considerations include the layout, orientation of your roof (with low-slope southward facing roofs being optimal), and items that may obstruct sunlight getting to the panels (trees, adjacent buildings, etc.). A professional determination will be made during your initial roof inspection. If your home is located in Northern VA you can use the Northern VA Solar Map to get an idea of your potential to benefit from solar. Click here to access the map. If you are located in DC, Virginia, or Maryland you can use Google’s Project Sunroof to research your home’s solar potential. Click here for a link to Project Sunroof. Today, solar energy costs less than traditional electricity in many markets. While the greatest savings occurs from an upfront purchase, many customers are able to reduce their monthly electrical cost even after the price of financing. Actual savings will depend on several factors including utility rates, electrical usage, and available sunlight. The Federal Solar Tax Credit is an incentive that allows you to claim a tax credit for 30% of the total cost of installing your solar power system. If the credit exceeds your total tax bill, your taxes for that year will be completely eliminated, and the remaining credit can be applied to future tax bills. To take advantage of this incentive, simply fill out this form, and submit it with your federal tax return. Does NOVA Solar offer financing? Yes, we provide financing in order to help our customers make their energy goals a reality, and keep their costs as low as possible. Net metering is a stipulation that requires utility companies to give you credit for any excess electricity your system produces. For example, a home that consumes 50 kWhs of grid electricity during the night, and produces an excess of 50 kWhs of solar electricity during the day would register as having used no grid electricity at all.  When properly installed, a PV system will last 25-35 years. During that time, most systems require little to no maintenance beyond removing leaves and debris. A typical solar power system in Virginia will offset 122 tons of carbon dioxide over its lifetime, and produce enough electricity to eliminate the need to burn 221 tons of coal. Will solar panels be allowed by my HOA? According to the Database of State Incentives for Renewables & Efficiency, homeowners’ associations are not allowed to prohibit the installation of solar panels. How do I request a free quote? You can fill out this form on our website, and one of our solar panel experts will call you to schedule an appointment. You can also give us a call at (703) 679-8607.